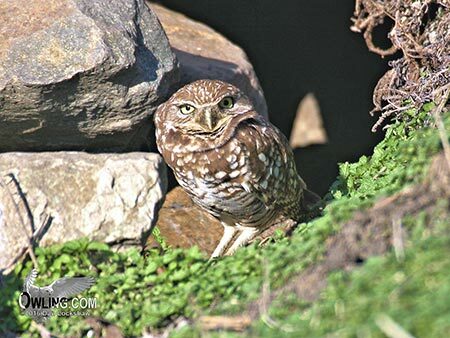 The Burrowing Owl is the only owl in North and Central America that lives in a hole in the ground. It can often be found sitting at the entrance of its burrow in the daytime although it is mainly crepuscular or nocturnal. Here you will find photos, recordings, video and a brief field notes discussion to help identify and enjoy this beautiful owl. Male’s primary and territorial defense song. Heard only near the burrow. 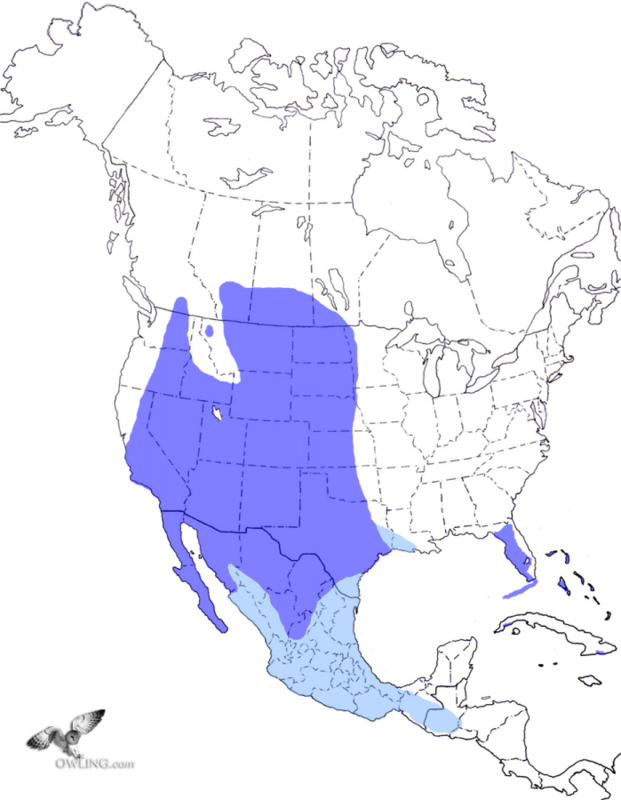 There are two accepted races of Burrowing Owl in North and Central America. 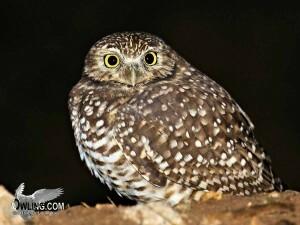 This owl is mainly diurnal although it may forage at all times of the day and night depending on prey availability. 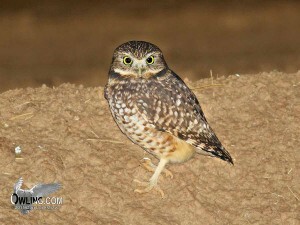 It can often be seen in the mid-day as it sits at or near the entrance to its burrow. It usually forages for insects in the day and small mammals in the evening so it may become largely nocturnal in the winter months when the insects are low. 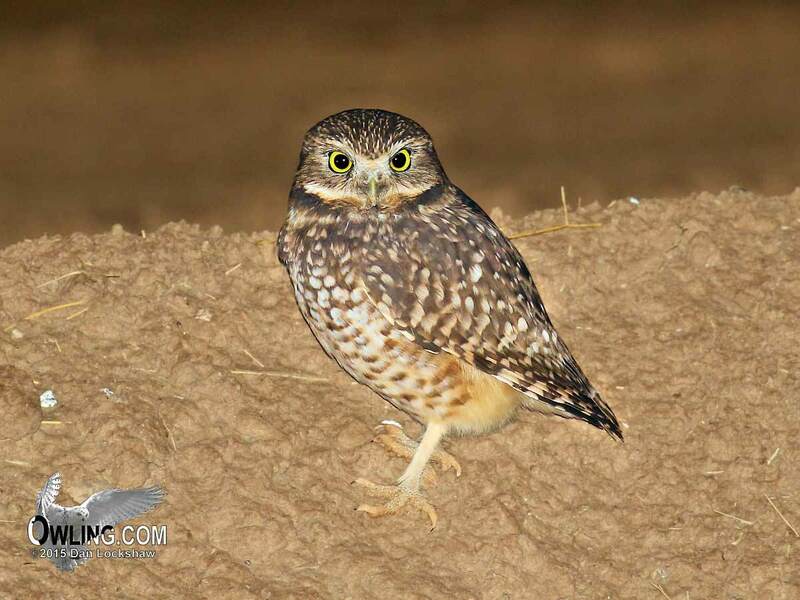 This is the only owl species that lives in burrows in the ground. 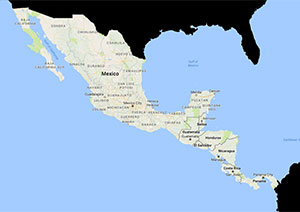 The burrows are generally vacated rodent holes in the west as the owl does not generally dig its own. The western race simply takes over a rodent hole and enlarges it in diameter. 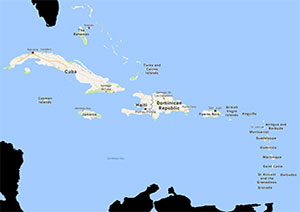 The Florida subspecies or race, that extends south into the Caribbean, reportedly does dig its own burrow contrary to its western cousin. 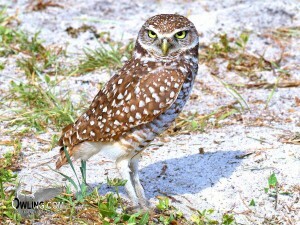 The Burrowing Owl is readily distinguished with its long legs as none of the other small owls have its distinctive long legs. 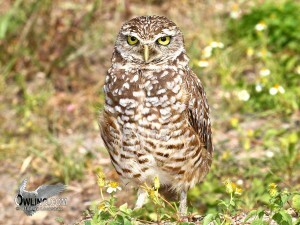 In adults, the under parts are barred, rather than streaked as in other small owls, although the juveniles lack barring and are buffy below. The adults are alike but the males tend to be lighter, more grayish brown and not as heavily barred below. The iris is yellow and the bill is yellowish or light grayish. Length is 9 1/2″ (about the size of a Meadowlark with long legs). We take a greater look at the status of this species in its biology write-up although, as might be expected of a ground dwelling species that lives in the lowlands, it is under extreme pressure from development and agriculture. In the US the species is at some level of threatened or endangered status in most of the states it occurs and has been extirpated from much of its historic territory altogether. 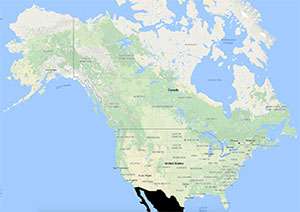 It is classified as endangered or threatened in all of its Canadian range.